Here at NCC the reality that learning about Christianity and the spiritual path is a lifelong process is part of the culture. Nobody has it all figured out; God IS still speaking into life each and every day. Through regular study and reflection of scripture the hope is that the journey of faith becomes more intentional and meaningful. 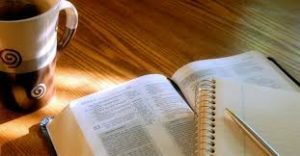 So, join in each week to explore the Bible at 11:30 am on Monday morning in Pastor Patty’s Study to learn, share reflections, sip coffee and tea, and find where God is leading us. To find out more about bible study on a specific week, please contact us at admin@newmarketchurch.org.